In this page, you may find selective classification decisions of European Union. These are customs tariff classifications based on the tariff and statistical nomenclature and on the Common Customs Tariff of European Union (i.e. European tariff codes or EU tariff schedule). This page is regularly updated. You may use these hts code classifications as a reference to determine hs code or customs tariff code of the products you are interested in. An electronic component contained in a rectangular plastic housing (so-called ‘game cartridge’) with dimensions of 35 × 33 × 4 mm. The game cartridge consists of a printed circuit board with integrated circuits (read-only memory (ROM) and flash memory), passive elements (capacitors, resistors) and several contact pins. The ROM comprises an application program (a video game) and cannot be changed or upgraded by the user. The flash memory is used for storing data created when the game is played, such as preferences or reached levels and scores. Due to its special shape and specifically configured contact pins, the cartridge can only be used in a specific brand and type of video game consoles of heading 9504. Classification is determined by general rules 1 and 6 for the interpretation of the Combined Nomenclature, note 3 to Chapter 95 and by the wording of CN codes 9504 and 9504 50 00. The cartridge contains not only a flash memory, but also a ROM comprising the game. The flash memory only stores information needed for playing the game, such as the players' preferences, reached levels and scores. 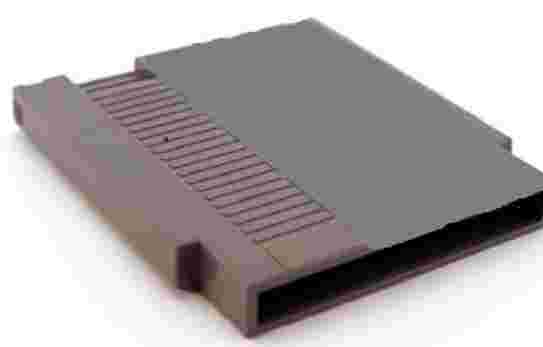 The cartridge can only be used for playing video games in conjunction with a game console. Consequently, classification as media for the recording of sound or other phenomena of heading 8523 is excluded (see also the Harmonized System Explanatory Notes (HSEN) to heading 8523, sixth paragraph, point (f). As the cartridge is a part or accessory suitable for use solely or principally with a game console of subheading 9504 50, it is to be classified under CN code 9504 50 00 (see also the HSEN to heading 9504 (2), third paragraph). An article consisting of a plastic housing containing 4 metal terminals, diodes and cables with connectors (so-called ‘Photovoltaic (PV) junction box’). The PV junction box is a device for transmitting (by cable) electricity, not exceeding 1 000 V and generated by a solar panel, to another PV module or PV inverter. The function of the diodes is only to protect the article against overvoltage (so-called ‘hot spots’). Classification is determined by general rules 1 and 6 for the interpretation of the Combined Nomenclature, note 3 to Section XVI and by the wording of CN codes 8544, 8544 42 and 8544 42 90. Classification under heading 8541 as diodes is excluded as the diodes do not significantly change the characteristics and properties of the article as a PV junction box. The principal function of the article is considered to be that of making connections to or in electrical circuits. 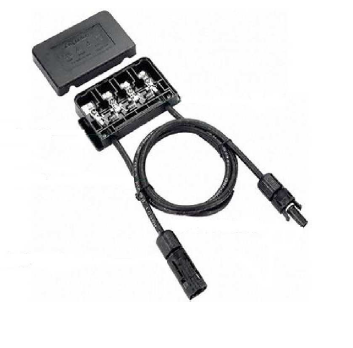 As the article is provided with cables, classification under heading 8536 as an apparatus for making connections to or in electrical circuits is also excluded (see also the Harmonised System Explanatory Notes to heading 8536, group (III) (A)). 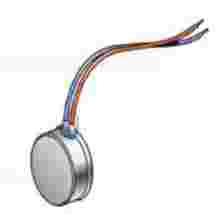 The article is therefore to be classified under CN code 8544 42 90 as other electric conductors fitted with connectors. An article in the shape of a circle (so-called ‘coin vibration motor’) with a diameter of 9 mm and a thickness of 4 mm with an inbuilt 4 V DC, 1 W electrical motor. The article is designed to be used in tablets, mobile phones etc. to create a vibration effect. That effect is the result of the rotation of the shaft of the motor due to the presence of a non-symmetric mass attached to the shaft. For mounting purposes the article is provided with self-adhesive tape on one side. Classification is determined by general rules 1 and 6 for the interpretation of the Combined Nomenclature and by the wording of CN codes 8479, 8479 89 and 8479 89 97. As the function of the article is to create vibration, classification under heading 8501 as an electric motor is excluded (see also the Harmonised System Explanatory Notes to heading 8501, group (II), eighth paragraph (b)). The article is therefore to be classified under CN code 8479 89 97 as other machines and mechanical appliances having individual functions, not specified or included elsewhere. 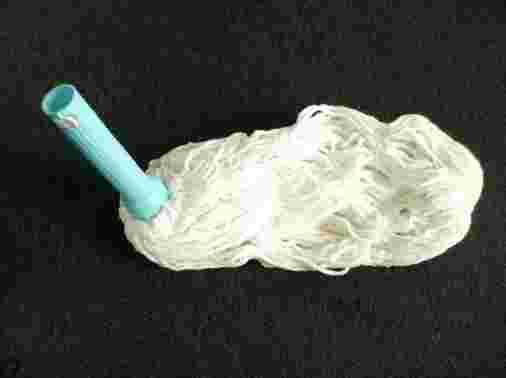 An article (so-called ‘mop head’) consisting of cords of textiles fixed to a plastic adaptor which is designed to connect the article with a handle. Classification is determined by general rules 1, 2(a) and 6 for the interpretation of the Combined Nomenclature (GIR) and by the wording of CN codes 9603, 9603 90 and 9603 90 99. A bundle of textile cords mounted on a handle constitutes a mop. The article is a bundle of cords of textiles fixed to a plastic adaptor which serves to connect the article with a handle. Consequently, the mop head should be considered an incomplete article which has the essential character of a mop within the meaning of GIR 2(a), because the plastic adaptor is designed to be mounted on a handle (See also the Harmonized System Explanatory Notes to heading 9603, (D), first paragraph) The article is therefore to be classified under CN code 9603 90 99 as a ‘mop’.